We have a new chapter on the language of Macbeth which appears in this book from Arden. 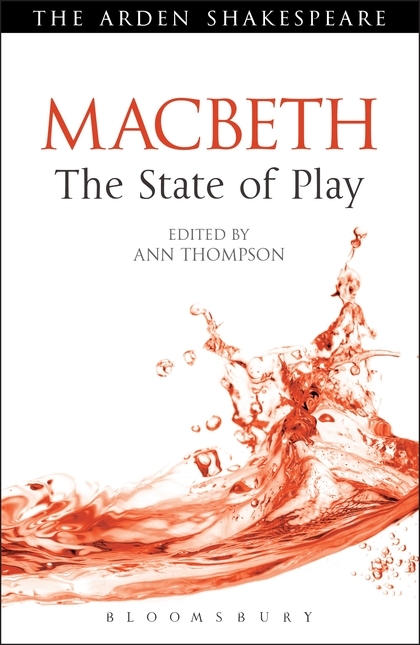 The chapter surveys previous work on the language of the play, and then offers some new analysis we’ve done, chiefly using WordHoard. Along the way, we consider the role of word frequency in literary analysis, and especially the word ‘the’ in Macbeth (we also think about word frequency in this post). Of course you are going to buy the book, which is currently (February 2014) available at a reduced price at the link above, but here is a pre-print of our chapter. UPDATE: ‘the’ is attracting a lot of attention. Here is Bill Benzon discussing Matt Jockers’ discussion of it in Macroanalysis, and here is Mark Liberman responding, with references to other work on different rates of ‘the’ in language. This entry was posted in Early Modern Drama, Shakespeare and tagged Ann Thompson, Arden, Macbeth, word frequency. Bookmark the permalink. Post a comment or leave a trackback: Trackback URL.